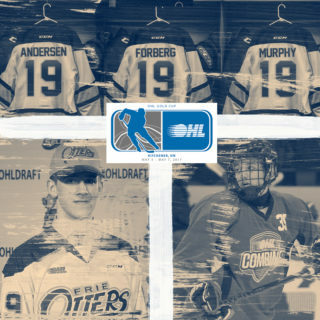 The Erie Otters are a year removed from hoisting the Robertson Cup as OHL Champions and have come out of a cycle that saw the franchise produce stars sending shockwaves through the hockey world today. 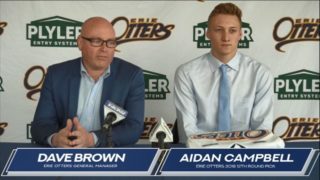 While McDavid, DeBrincat, Strome and Brown have moved on, the Otters have shifted their focus to the years ahead after missing out on the OHL Playoffs last spring. Despite that fact, Chris Hartsburg’s first season behind the bench was spent developing a new wave of talent in first round pick Emmett Sproule, midseason addition Hayden Fowler as well as 17-year-olds in Max Golod, Joseph Mack and Jack Duff among others. Also in that sophomore class, Cranberry Township, Penn. native Alex Gritz showed flashes of offensive upside with 13 goals, 17 assists and 30 points in 67 games. 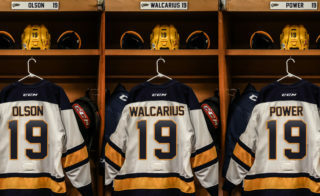 Having grown up in a suburb of Pittsburgh just an hour-and-a-half south of Erie, the left-handed shooting centreman is proud to be part of a generation of Pennsylvania kids that fell in love with the game. Congrats to @alex_gritz96 who is playing in his 100th career game tonight! 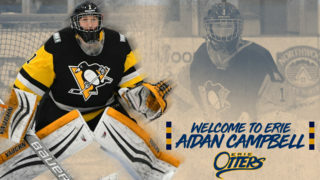 Gritz is the eighth Pennsylvania native to suit up for the Otters, following in the footsteps of Shaun Bily (Doylestown), Tyler Hostetter (Lititz) and Justin Garay (Monaca) among others. He’s enjoyed playing for the team he grew up cheering for. Described by Gritz as “a sports lover’s dream town,” Erie boasts more than just the Otters. The Erie Seawolves play out of UPMC Park next-door to Erie Insurance Arena and are the ‘AA’ affiliate of the Detroit Tigers. The Erie Bayhawks play out of EIA and are the NBA G-League affiliate of the Atlanta Hawks. In addition to its plethora of Pittsburgh Steelers and Philadelphia Eagles devotees, the city also features highly competitive varsity football and hockey leagues that run throughout the fall and winter months. Gritz’ desire to play in the OHL was so strong that he left Pennsylvania, venturing north to Ontario to play his Minor Midget season. He suited up for coach Shawn Dietrich’s Waterloo Wolves as they won an ALLIANCE Championship. Gritz put up 41 points (19-22–41) in 33 games that season and was selected by the Sault Ste. Marie Greyhounds in the third round of the 2016 OHL Priority Selection. 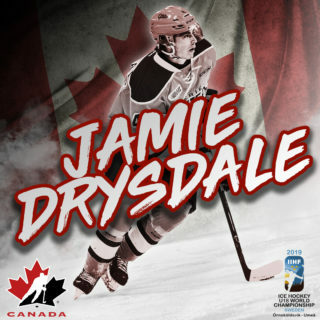 Born September 15th, 2000, Gritz missed the NHL Draft eligibility cut-off by one day, making him one of the youngest eligible players for this past summer’s event in Dallas where he went undrafted. Despite that, he’s viewing the upcoming season as one where he can make an impact on the scoresheet and in the dressing room. Gritz still cites Sidney Crosby as his favourite player, recalling vivid memories of attending #87’s first game in Pittsburgh with his father. Like ‘Sid’ before him, Gritz is serving as a role model to kids in the community, sowing seeds that will someday sprout into the next generation of young players in Pennsylvania.